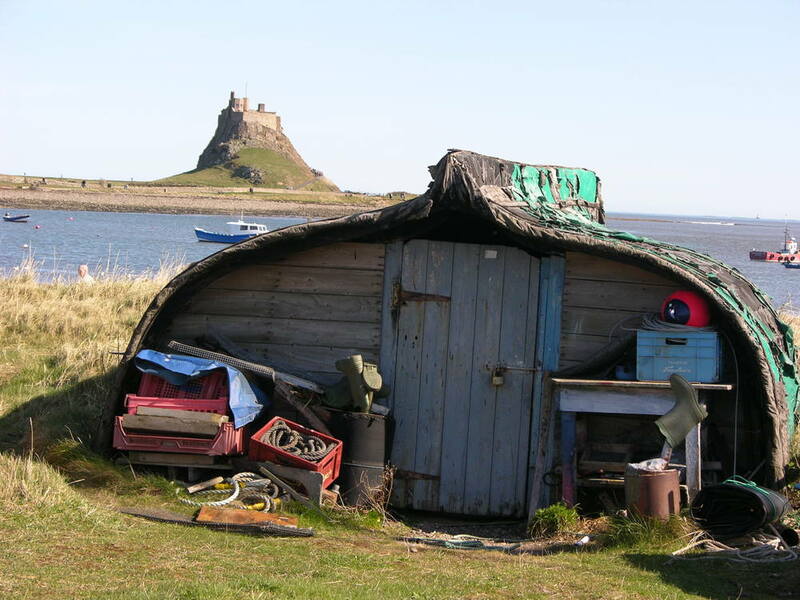 I went on retreat the weekend before last to Lindisfarne. The weather was glorious – bright and sunny. There was however, a freezing cold wind! I have been thinking a lot lately about God being a shelter. Psalm 31 begins, “In you, O Lord, I have taken refuge; let me never be put to shame; deliver me in your righteousness…be my rock of refuge, a strong fortress to save me.” What was interesting as I stood looking out to sea with the full-force of the wind blowing in my face was that it didn’t take much for me to move slightly so that a building or wall took the worst of the buffeting I was experiencing. It was amazing how warm and comfortable I could be with the sun on my face when sheltered from the wind. This got me wondering how I can find shelter in the midst of the problems and stresses of everyday life. God seemed to be saying that it is not necessary to run and hide completely but just to adjust my position slightly to get some respite for a while before once again embracing the tumult! I was thinking about what comprises shelter for me. The week before I had spent a couple of days with some friends I have known for 20 years. I felt so comfortable to be with them. They have been an important part of my life for so long and were so loving and affirming of me that it definitely felt like a time and a place to shelter. I think being in community is a place where I find refuge and the strength and courage to go again. This weekend I was at a conference in Sheffield for those who seek to share Jesus with people interested in new age and pagan spirituality. It was really encouraging to honestly speak about the joys and hurts such ministry brings with those who share my passion for bringing God’s love to spiritual seekers. And I find shelter in my relationship with God. As the psalmist says, it is the ultimate place of safety because there we find unconditional love and acceptance while being truly known without fear or shame. The Pioneer Mission Leadership Training Course (http://pioneer.cms-uk.org/) has also become a place of shelter for me and as I reflected further, I began to think of Lindisfarne itself as a picture of what CMS is creating for those of us who are trying to imaginatively engage with culture so as to reveal God’s goodness in new, relevant and captivating ways. It is a place of community for pioneers to be taught, resourced, encouraged, have their wounds dressed and be envisioned afresh for mission. From here we are sent back to the mainland along the pilgrim’s way to live, love, serve and be agents of transformation. However, while we need places of shelter, the temptation is we may become so comfortable that we set up home there. There was also a picture of this on Holy Island – upturned boats on the seashore that had become permanent and fixed places of storage. The danger is having been saved, healed and set free to be sent out to bring this to others and make disciples, we forget our purpose and settle down to sit out life in safety just waiting for Jesus to rescue us. Perhaps this is what has happened to sections of the church in the UK. Agencies such as CMS bring a prophetic challenge that calls us back to lives of radical discipleship where, yes, we feel vulnerable and subject to the elements but also experience the excitement of adventure, the joy of creativity and the surprise of finding sources of love and beauty where you didn’t believe they were possible. So by all means take time to shelter but whatever you do don’t stay there! I wanna be an Easter Bunny! I love Easter and not just because of the chocolate! It’s the ultimate story of hope. We Brits love the tale of the underdog overcoming all the odds and triumphing having faced every possible adversity. And Jesus’ betrayal, torture, humiliation and unjust execution followed by His miraculous resurrection from the dead, is as good as it gets in terms of snatching victory from the jaws of defeat! But I think it resonates with us not just because it’s a great story but because it mirrors our experience of life. I really like this idea that weaved into the ordinariness of life are everyday crucifixions, juxtaposed with mundane resurrections. What is even more thrilling is how God allows us the privilege of being the bearers of His light and hope in the world. I had an experience of this last weekend. I was at the United Reformed Church in Kingston doing Ruach card readings and hand massage. It was a great day and I met lots of lovely people who were really blessed by God through what I was able to share with them. But right at the end of my time I met a homeless guy called Steve. He was very apprehensive of having his hands massaged but had been talked into it by an outreach worker based at the church. As he let me pour oil into his hands and gently massage it into his skin, he began to relax and to talk of the time before he was out on the streets. It was a real blessing to listen to him and to touch him. At the end of it, he said to me with tears in his eyes, “Usually the only physical contact I get is a kick or a punch. But this was nice.” His daily life experience is one of crucifixion and yet for a moment the Kingdom broke in and some resurrection hope was revealed. It was a joy to be a carrier of that hope. I came across a story recently in an e-book called ‘Unintended Consequences’ by Andrew Brims (http://andrewbrims.wordpress.com/2012/02/21/free-ebook-unintended-consequences/). In this story the animals gather to decide how to conquer a neighbouring land. As the lion is king and the hippo lazy, fox suggests sending the elephant because the earth shakes when he moves. However, the owl makes a case for rabbit, “They’re quick and nimble and multiply, well…like rabbits!” Despite rubbishing owl’s idea, they send both. A year later fox reports back. The elephants have caused a stir and they are in two families but there are rabbits everywhere and it’s been renamed ‘Rabbit-land’! In my experience Christians are often tempted or seduced by impressive, clever campaigns that promise much and have a big price tag. Yet Jesus talked of the good news infiltrating like yeast in dough. So, this Easter as you sink your teeth into your chocolate bunny, maybe it’s worth reflecting on how you expect the Kingdom to come? Is it with nationwide programmes and headline grabbing controversies, or one resurrection multiplying moment at a time? 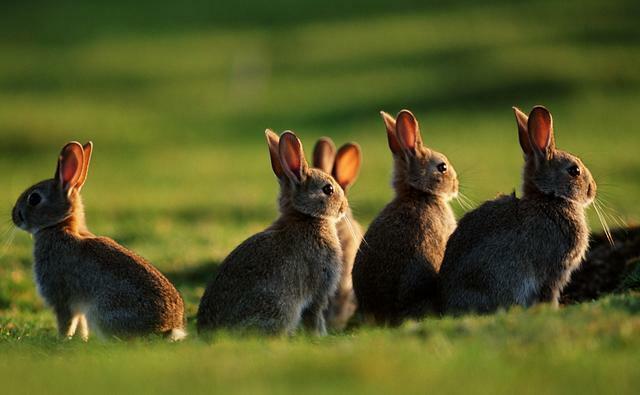 If it is changed hearts that transform societies, bunnies win every time!